Nobody is doing it like we are! It’s time for a change, for a Brokerage that takes to heart what is best for Home Buyers and Home Sellers. Bradley Group Realtors is leading that change with its Performance Based Brokerage. Our agents either hold their Broker License, have been licensed more than 4 years, or get full access and support from the Principal Broker at the firm. You in turn get a Local & Proven Professional, never an inexperienced Realtor®. 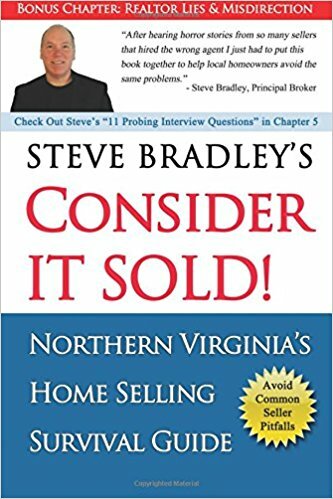 Why choose Bradley Group Realtors? Each and every agent must meet a very strict set of guidelines to join us. Only a rare few pass our Ethical and Performance guidelines and are invited to join us. We do the hard work at the start to make certain you are selecting from the best of the best for your real estate needs. Our Agents are the most experienced. Our Realtors® have their Broker License or they have been licensed for over 4 years! Newer agents have direct access and are supervised by the Principal Broker. Full Time Realtors®All of our agents are full time. Selecting one of our agents is the smartest first step you can take. No Part Time Agents. Highly Educated We have the educators, the former Supervising Brokers and those responsible for setting the standards for excellence in our area. Next Level Technology Our Realtors® know the value of technology. They understand how it can save everyone time and provide exceptional support for our home buyers and home sellers. Highest Ethical Standards at all Times.All Agents joining us are held to the strict standards of the National Association of Realtors Code of Ethics. Full Service BrokerageWe are a Full Service Brokerage. We do not offer limited services for fee. You will always get 100% of our attention and services. Although legal in Virginia our agents will never represent both a seller and buyer on the same sale.We strongly believe dual-agency representation is NEVER in the best interest of the seller and buyer. Not Everyone is AcceptedUnlike traditional real estate brokerage models not every Realtor® will be accepted.It is important that the Realtors® joining us be experienced and dedicated to the highest level of service in the area. No Mega TeamsTeams can be an exceptional way to help buyers and sellers but when they get too big they just don’t have the same client focus we strive for with our brokerage.Some Realtors® develop teams that do 30-100 sales per month. At Bradley Group Realtors those teams do not fit our hands on, boutique brokerage model. No Mega OfficesTraditional real estate brokerage models look to get as many agents as possible. Some of those offices have a hundred or hundreds of agents.We just don’t see the value to our clients to have so many agents in one location. It is a number that only benefits the Brokerage and not the client. No Gimmicks!We promise no gimmick sales tactics. If it’s too good to be true it probably is. Have you heard of the ‘Your Home Sold in X-days or I Will Buy It“? Ask anyone offering those to send you the conditions and terms BEFORE you will meet with them. We will always treat you with the respect you deserve. This is how my #HomeBuyer is feeling today when she beats out multiple offers on a home she found on Saturday. The best part is she was looking for a new place closer to her son’s friends because where they moved a few years ago is too far. Without even knowing it, the house I showed them was right next door to one of his friends. He screamed he was so excited and she looked at me and said, I hope you can help us get this home. No pressure at all LOL I’m so happy for them.